Either I've grown out of YA fiction, or my patience and forgiveness for it has diminished over the past couple of years. It also doesn't help how many Wonderland retellings I've seen, which made "Queen of Hearts" already a tough sell. But sometimes a nice easy read sounds appealing, which I thought this would end up being. And it was easy - easy to skim through and get distracted from, because while there's certainly a lot of text describing events and presenting dialogue, it all stayed on the surface as a dry cardboard-cutout. I'll give the book credit for trying to present a different identity of the Mad Hatter, who happened to be the only character I cared even a little for. Considering how vague and up in the air the "plot" was, the characters were the default focal point for attention. Even then, Dinah was unlikable and difficult to feel any empathy for, whereas too little was known about any of the other characters, particularly the king, Wardley, and Vittiore, all of which fit the stereotypes of the cruel-for-no-known-reason father, the hot and drool worthy guy who's been a friend from childhood, and the girl who's a rival for power and who is hated by the heroine for, also, no clear or entirely believable reason. There's also the familiar cast of Wonderland characters like Cheshire who are slotted in just to satisfy the criteria of having them in the story - it is, after all, a spin on "Alice in Wonderland. The classification of the Cards was the only other interesting aspect that altered the original story, but it did little in redeeming the book. The "plot" was a mixture of loose threads thrown around that was more like sketchy exposition in a prequel style than any kind of coherent story. The writing lacked the alluring tone of voice that would draw a reader in, instead dry and stereotypical in the way in described characters or events. 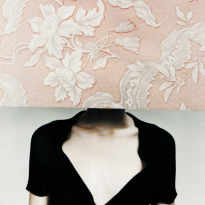 It was a book that was driven more by the unappealing heroine than by plot, although the former was surely the goal. Beyond that there isn't much more to say. The fact that it was easy to get through felt like a small mercy considering how frustrating it felt to read it. 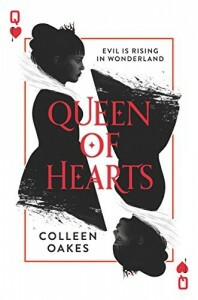 I think I won't be touching any more Wonderland retellings after this one, as "Queen of Hearts" set a new low in the genre. It simultaneously had characters and action going on, but also lacked both of those things tremendously. It was predictable and boring, worse than I feared it might be. It looks like, with the immense about of takes on Wonderland, it is slowly losing its magical touch, which is probably a sign that it's time for publishing companies to stop churning out more dime-a-dozen books because they think they'll sell.